In early May, I was gratified to hear that the Lenhardt Library’s application to become an affiliate member at the Biodiversity Heritage Library (BHL) had been accepted. BHL is an open access, all digital repository of biodiversity literature. The Lenhardt Library is open to the public. Garden members may borrow materials for 28 days. BHL founding member libraries are based at universities, botanical gardens, and natural history museums, and include renowned institutions such as the Missouri Botanical Garden, Smithsonian Institution, Harvard University, and the Royal Botanic Gardens Kew. These libraries contribute digital scans of books and journals in their collections. All pages are freely accessible through the BHL portal. Constantly updated, as of today, BHL includes 43,697,651 pages of biodiversity literature. Users of biodiversity literature are researchers based around the globe with nodes in Europe, Australia, and China. BHL also serves as the foundational literature component of the Encyclopedia of Life. Plans for the Lenhardt Library’s involvement are to contribute literature unique to our collections and not held at other libraries. That may mean adding early volumes that pre-date current content in BHL, filling in missing horticulture resources, or adding volumes from the rare book collection. Another recent Lenhardt Library affiliation is with the Center for Research Libraries (CRL). CRL is a library’s library with holdings of 5 million items. 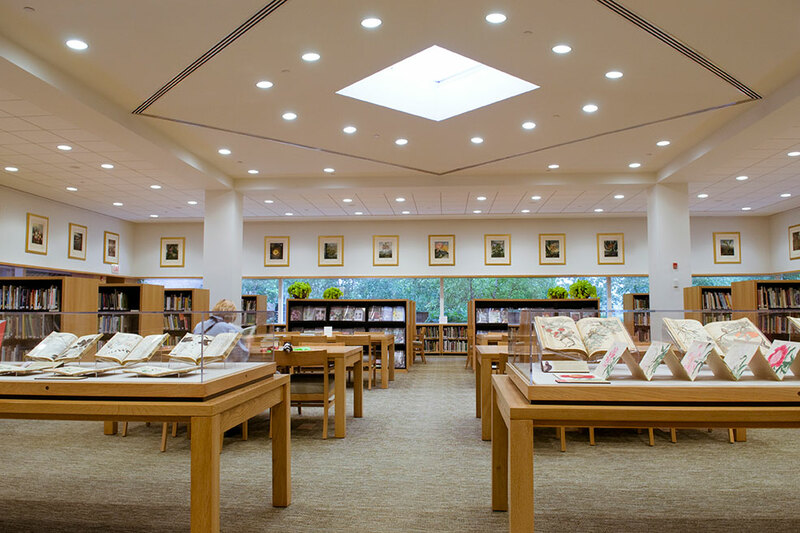 The Lenhardt Library joined this consortium of academic and research libraries to gain access to these materials to fulfill library research needs for the Chicago Botanic Garden’s staff and visitors. Partnerships and collaborations are vital to small research libraries such as the Lenhardt Library for advancement and growth. Library collections and resource sharing ensures literature is available for study, scholarship, and scientific advancement.